The Interesting/Odd/Insightful Documentary Thread. Share your faves! If you could meet someone from Topia!!! Vibrations are at the root of it. Christmas gift exchange 2007 ! shroomery for sale on ebay- used website cheap! Hippie's going to be a Daddy: Help pick a name ? 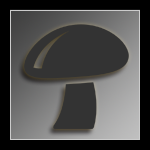 I think the Shroomery is dead...?/ Shoomery is bak! Who Here Appreciates Mycotopia ? ... No But seriously Please Read. Who is your Psycho -Active Team? If you could erase one word from existance? Can YOU See These Faces?? ?